Laura was born in Queensland, and began dancing at the age of 4. She started her formal classical ballet training at Ransley's Gold Coast Youth Ballet Company, eventually taking up full time training in 2004. Highlights of Laura's years at Ransley's include a trip to London in 2005 to compete as a finalist in the Genée International Ballet Competition, and becoming the only female dancer in Queensland in 2005 to be awarded the R.A.D. Solo Seal. The following year Laura was awarded a place at English National Ballet School where she trained for 3 years, graduating in 2009. During this time she was trained by numerous international choreographers and dancers including as Cynthia Harvey, Kerry Nicholls, Michael Corder and Antony Dowson. Laura went on to perform with the English National Ballet Company in both 'The Sleeping Beauty' and 'Manon' touring throughout England and Italy. Laura was then offered a position with the Scottish Ballet Company where she worked under the direction of Ashley Page for the next 5 years. During this time she performed many soloist and corps de ballet roles touring around England, Scotland, Ireland and America. - and Annabelle Lopez's 'Streetcar Named Desire'. - Elite Syncopations & Song Of The Earth by Kenneth MacMillan. - Scènes De Ballet by Frederick Ashton. - Run For It by Martin Lawrence. - Romeo & Juliet by Krzysztof Pastor. - Highland Fling by Matthew Bourne. - The Fugue & 100's by Twyla Tharp. Since moving back to Australia Laura has performed as a freelance dancer performing in Swan Lake with St Petersburgh Ballet company; with Southern Beat Productions; and in performances with DanceBourneArts. 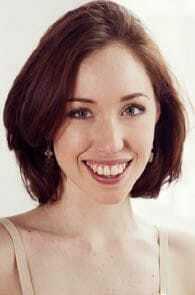 Laura also teaches ballet at the Victorian College of the Arts Secondary School and Ballroom and Latin dance at Arthur Murray Dance Studio.